This must have been one of the smallest Fish and Chip Shops in the country. People had to queue on the bridge because there was so little room inside. The square projection is the entrance and the larger one with a small window was the potato store. A similar photo of this bridge was one of the first interlude pictures to be used on Granada Television which began broadcasting on May 3, 1956. 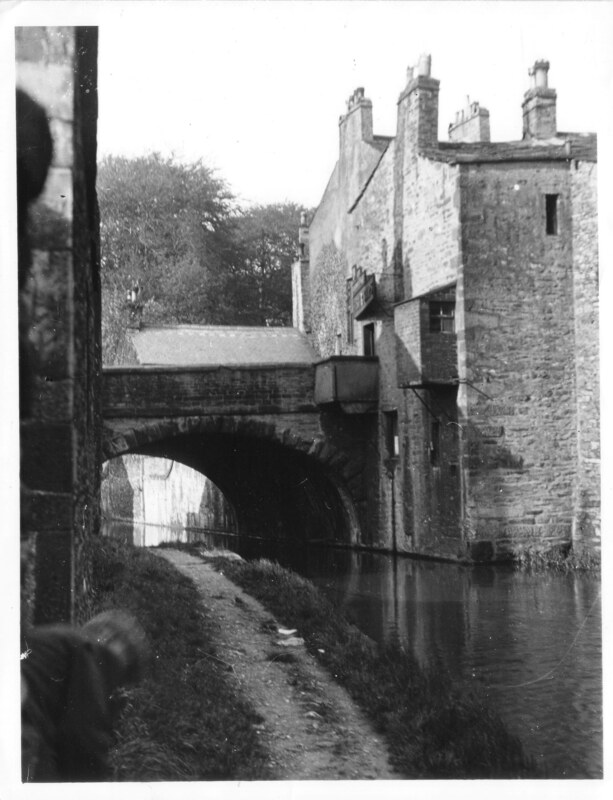 In the 1841 census, my great great grandfather William Hall was recorded as living at Mill Bridge, South Side, Skipton. Presumably there were a few cotttages there. Peter I only picked up your comment recently after a revisit to the site. I am definitely related to you! I have tried emailing you but the address no longer recognised. Perhaps if you see this you can email me and we can put our information together regarding William Hall and family of Skipton. My mother was a direct descendent of William Hall born 1806.